Sonic Producer uses Clickbank to handle our affiliate management and payment processing. In order to promote SonicProducer you will need to have a ClickBank account and ID. Signing up is both simple & free, so if you don't have a ClickBank ID, you can sign-up here. Now that you have your own ClickBank ID you are ready to begin promoting SonicProducer where you will earn 70% for each sale delivered through your unique referral link. The process of marketing our beat making software is fairly simple. Just place your special referral link on your website, in your article, or in your promotional emails to send traffic back to our site. These links are called hoplinks and tracks each of your visitors to give you credit for each sale you generate. Sample hoplinks. Below is a direct way to create your hoplink. 2. You replace 'vendor' with sonicpro and 'xxxxxx' with your ClickBank ID. 3. The third simple way is to go here to get your tracking link. Testing your link. We want to make sure your link is working properly. So to test it you can do the following. 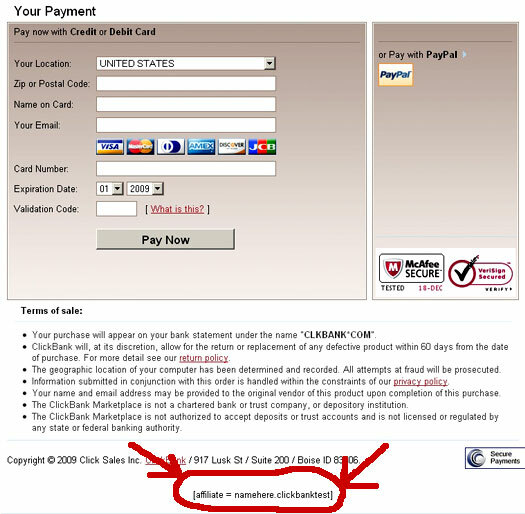 Let's use the ever popular clickbank ID namehere with a tracking ID (optional) of clickbanktest. First get your tracking link and enter it in the URL.